The cutest pair of little cross stud earrings with a heart knot wrapped around the Christian cross earrings. The small cross and heart stud earrings measure between 3/8" and 7/16" tall x 5/16" wide (10.26mm x 7.5mm) and have a polished finish. 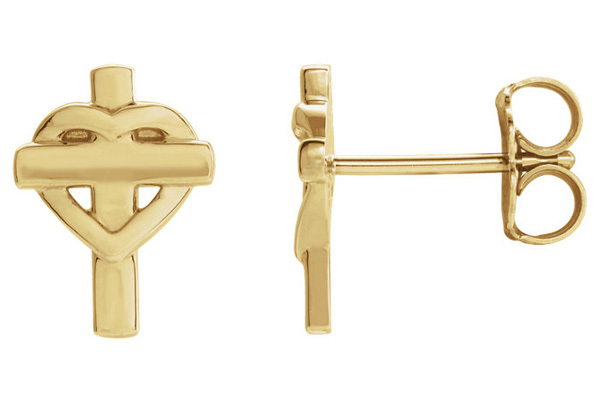 We guarantee our 14K Gold Heart Knot Cross Stud Earrings to be high quality, authentic jewelry, as described above.